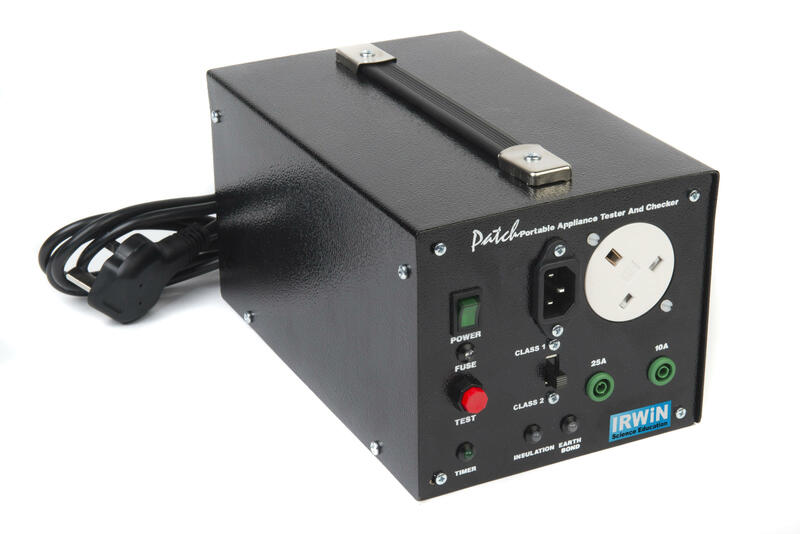 (Portable Appliance Tester and Checker). Performs electrical safety tests on portable appliances allowing compliance with EAWA regulations. The unit performs earth bond and insulation tests on both Class 1 and Class 2 appliances, extension leads, IEC and kettle leads etc. The unit is very simple to operate and gives clear, unambiguous pass/fail indications. Complete with test leads, instructions, pass and fail labels, a Tester's Certificate of Inspection and is fitted with moulded mains plug. 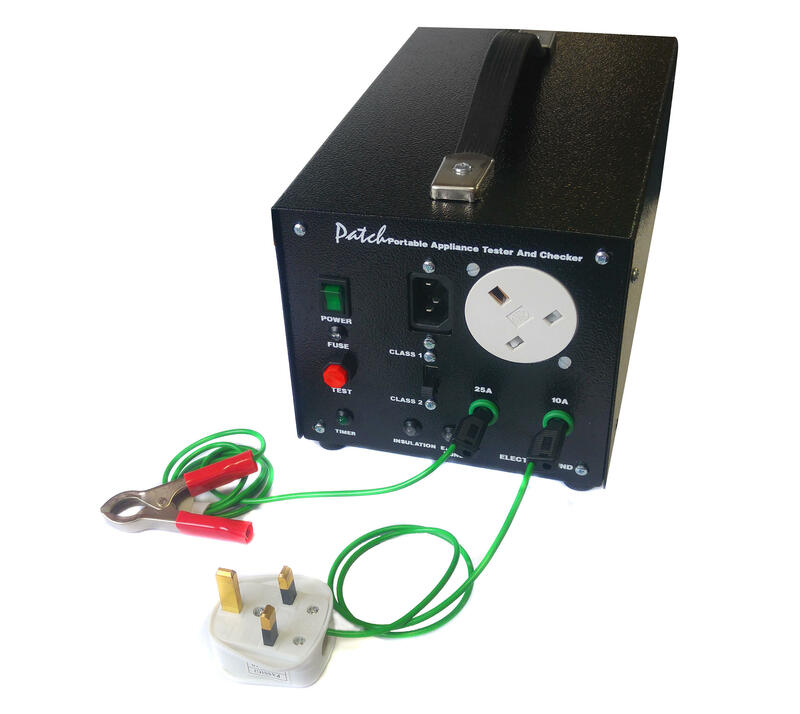 A simple to use PAT machine that allows the user to perform Class1 and Class 2 insulation tests, earth bond tests at two different current levels and extension lead tests. The compact unit clearly displays the results via coloured LEDs. A single push button initiates all the tests in a 5-second cycle. •Results are displayed by coloured LEDs. Timed test period. 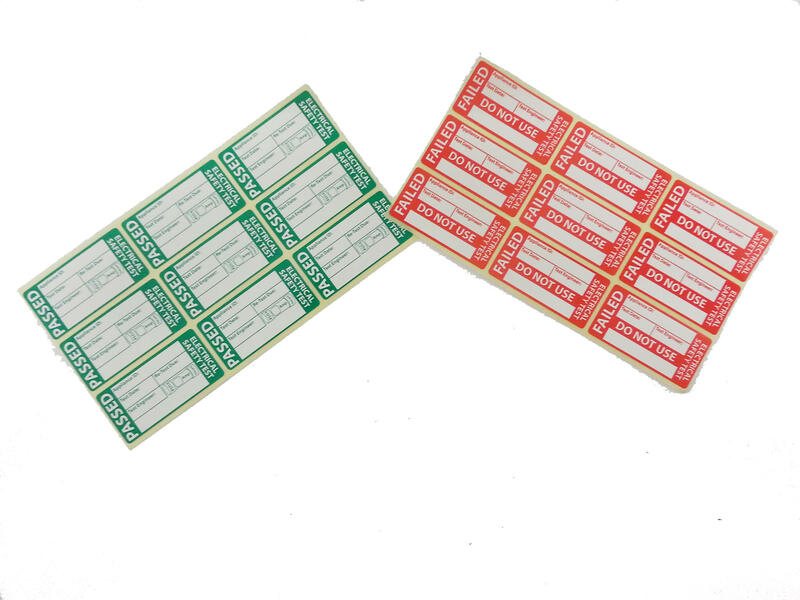 Comes complete with 100 pass labels, 50 fail labels, Earth Bond Test lead, Extension lead test lead and full instructions including sample inspection certificate.